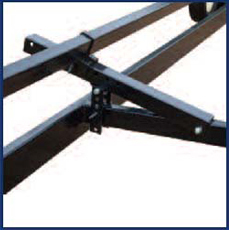 The basis of our header cart construction is square and rectangular tubing, providing a rigid frame. 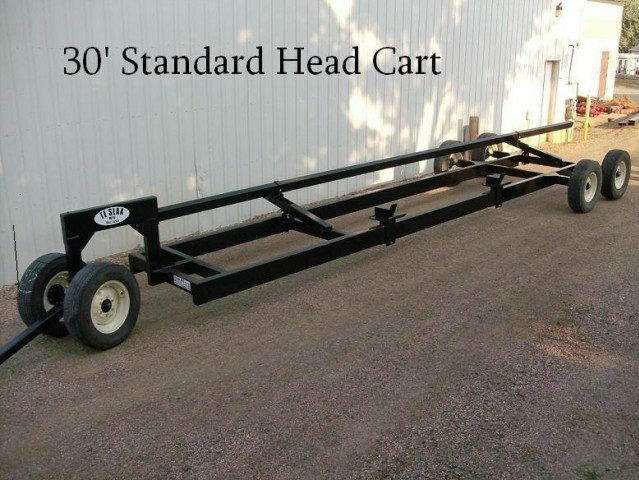 The 25 foot and 30 foot models have a 3″x 8″x 1⁄4″ tubular frame, while the 30 foot HD model has a 4″x 10″x 1⁄4″ tubular frame for extra carrying capacity. 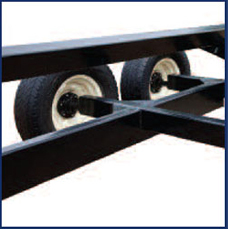 Wheels and tires are 16″ in both front and back, providing easy rolling over rough terrain. Easily adjustable settings for the rest bar and rest pad allow quick adjustment if you need to switch heads. In addition, the telescoping tongue makes hookup quick and easy, saving you time during harvest. 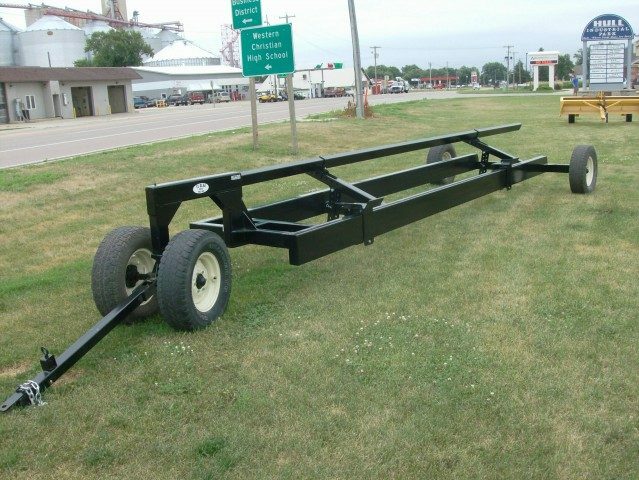 Available lengths are 25 foot, and 30 foot. 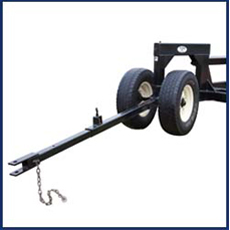 Options for this equipment include a light kit and ratchet tie-down strap. Heavy duty undercarriage with 7,000 lb. 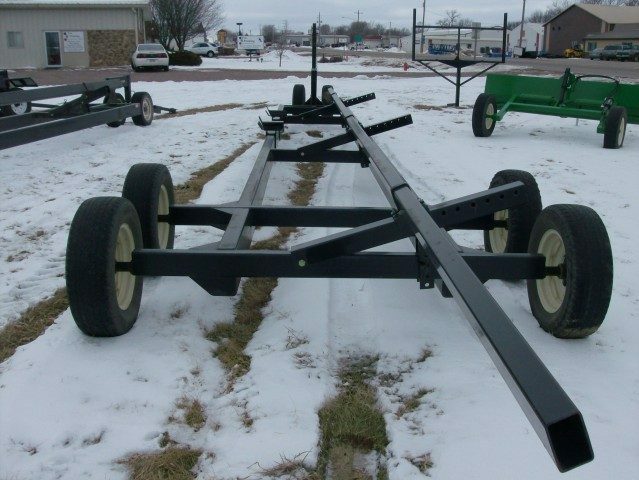 rated axles furnish sturdy construction. 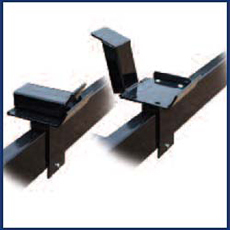 Flip-up rest pads provide a stable support for combine head. 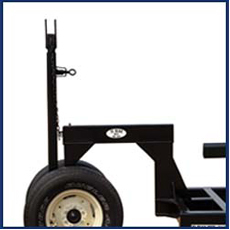 Rest bar has angle adjustment that expedites head mounting. Extendable tongue makes hookups easy. Tongue stands up to reduce storage space.